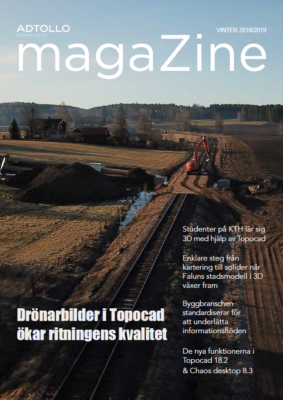 Topocad is a CAD system for measurement engineering calculations, map editing and a variety of specialized functions. Topocad is involved in community building with a wide range of different activities. Topocad product catalogue	 Read more about our areas in Topocad. Topocad municipalities	 Read more about the modules that are useful for municipalities. Topocad for contractors	 Read more about the modules that are useful for contractors. Having all the data integrated and assembled in one place is worth a lot. It minimizes extra work and risk of misunderstandings.